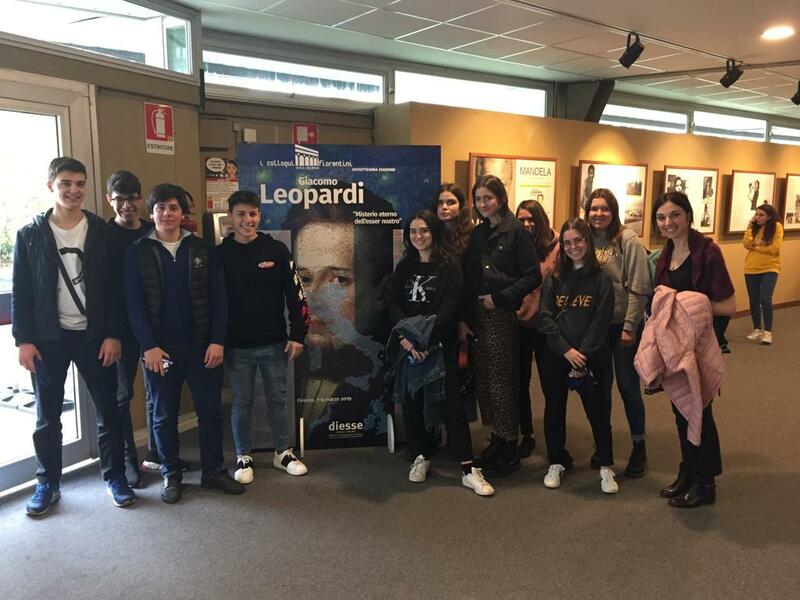 From March 7-9, 10 TASIS England Upper School students attended the annual Diesse Firenze e Toscana conference in Florence, Italy, along with the IB Italian Literature teacher, Mrs. Ester Caiazzo, and the Director of Studies, Mr. David Jepson. The conference centered on the 19th-century poet and essayist Giacomo Leopardi and was attended by nearly 4,000 teachers and students from as far away as Japan. The speakers at the conference discussed many aspects of Leopardi's work, but the focus was on the "misterio eterno dell'esser nostro"– the eternal mystery of our being that was highlighted in Leopardi's most famous poem, "L'Infinito." The participating students sent in artwork, creative writing, and interpretive analysis to the organizers, and prizes were awarded for the best student contributions. The major takeaways from the conference for our students were that thinking deeply can be a joy for the mind; that language and literature can be inspiring, uplifting, and thought-provoking; and that they are not alone but belong to a worldwide community of educated young people who care about learning. Please see our Flickr album for more photos.